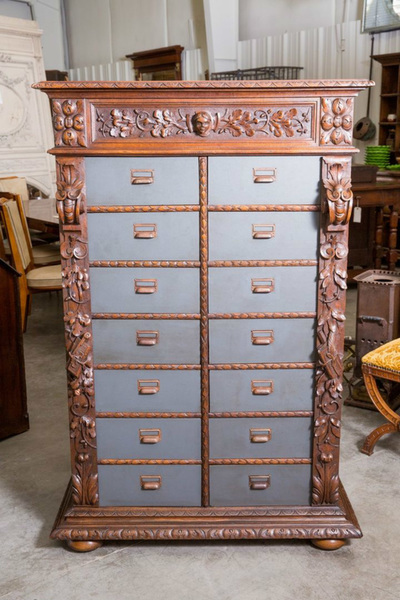 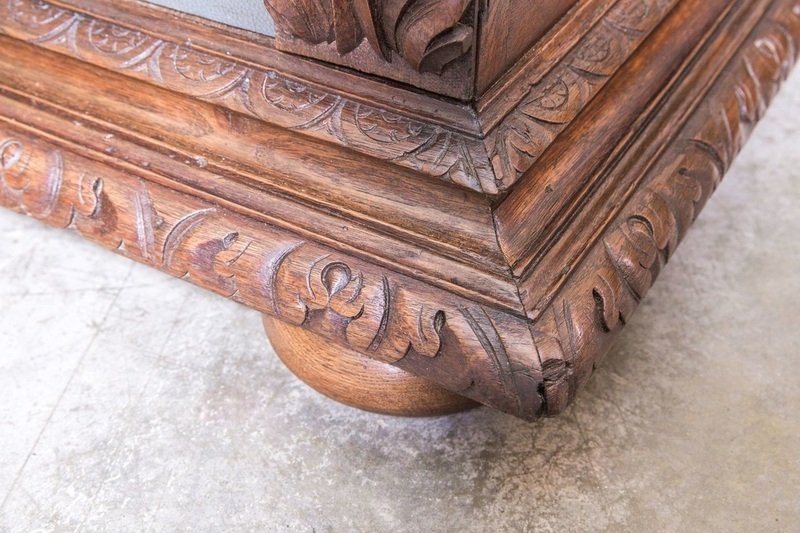 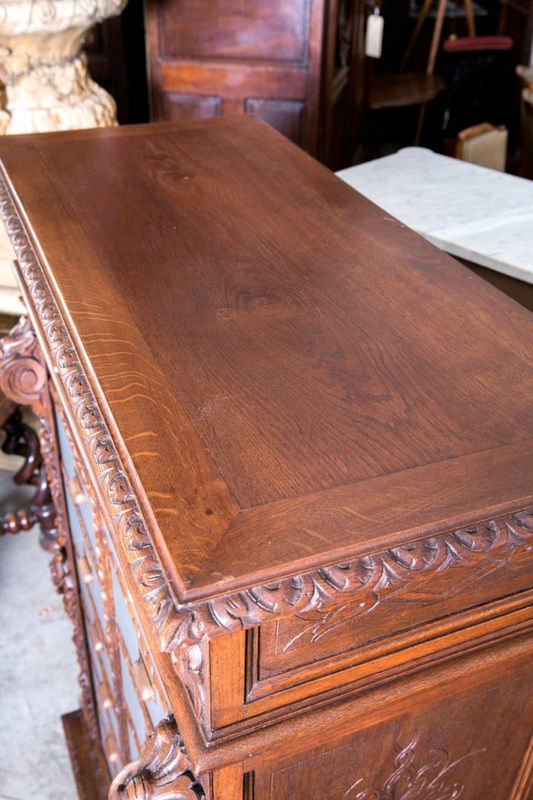 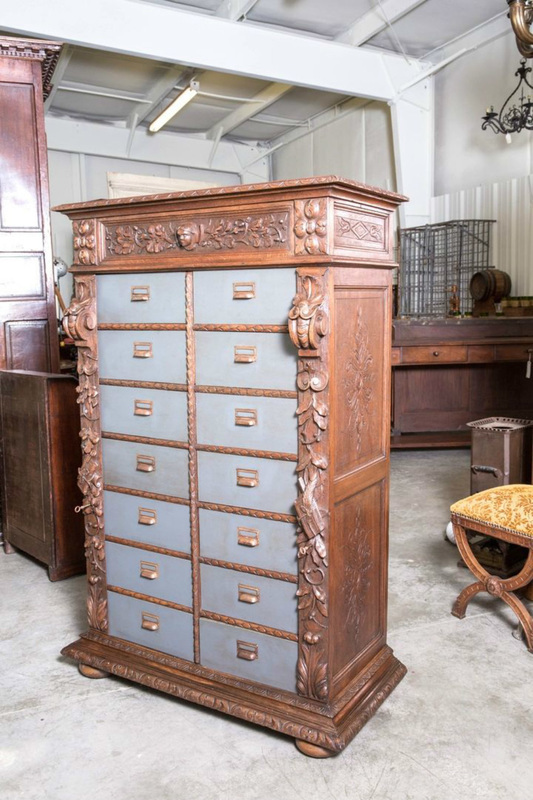 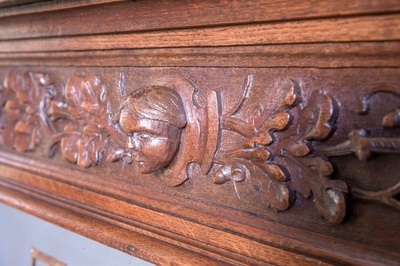 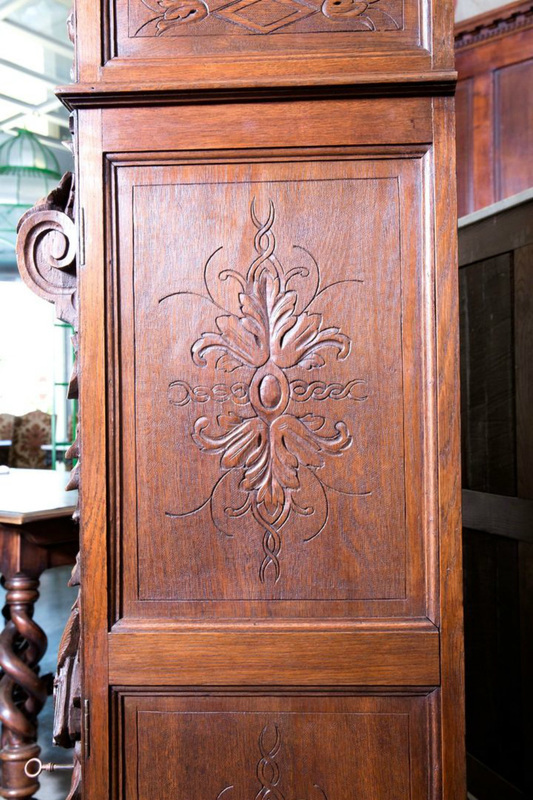 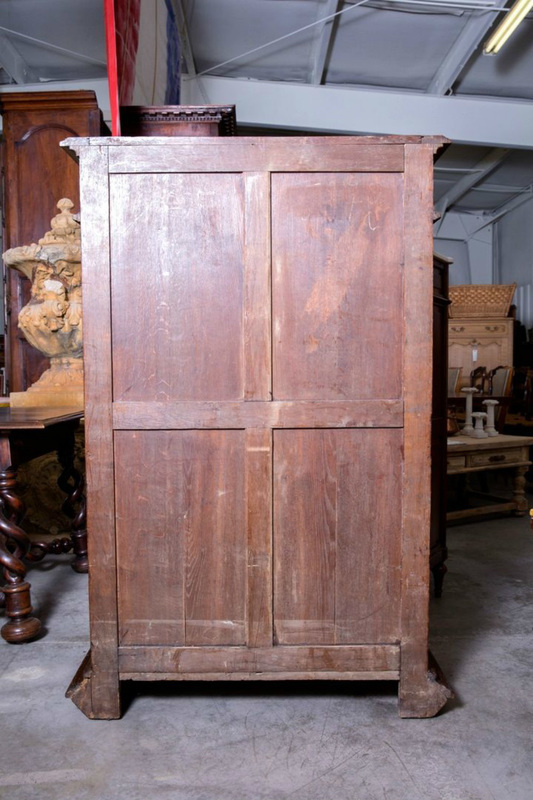 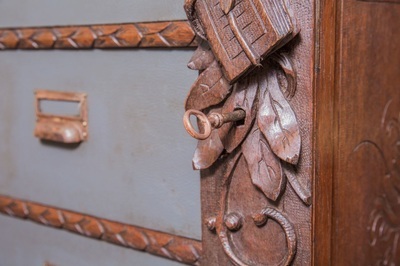 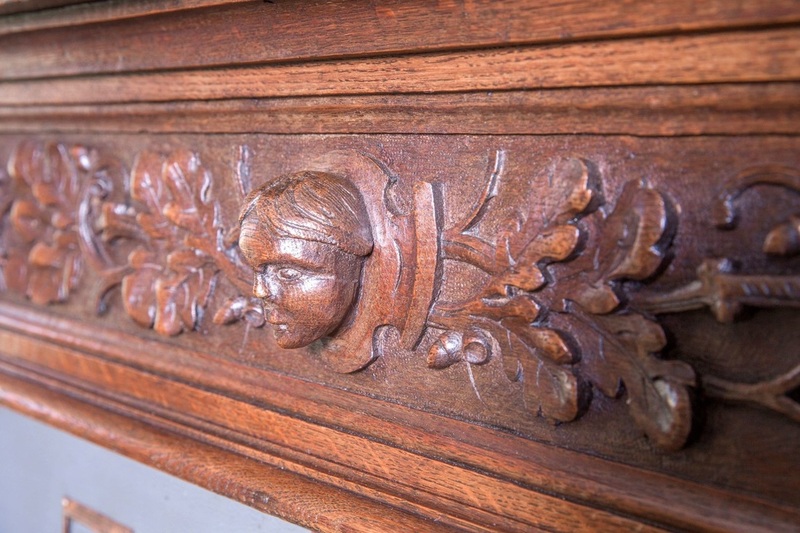 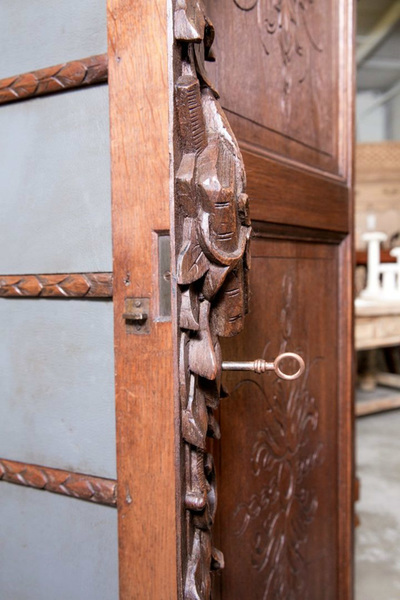 Antique French Renaissance style cartonnier (filing cabinet) hand crafted by skilled artisans from the Normandie region. Circa 1850s. 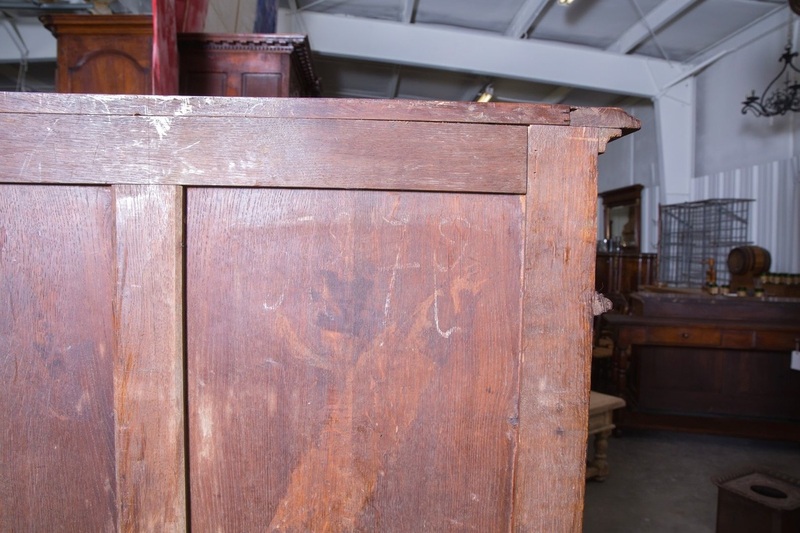 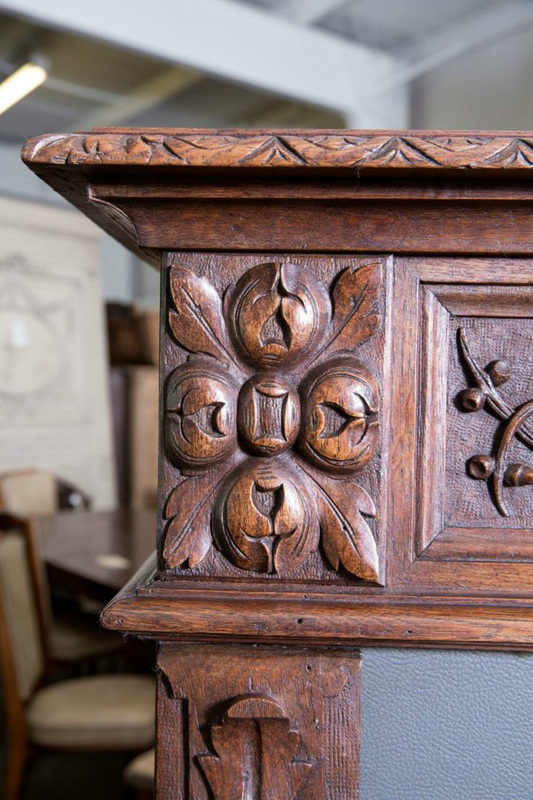 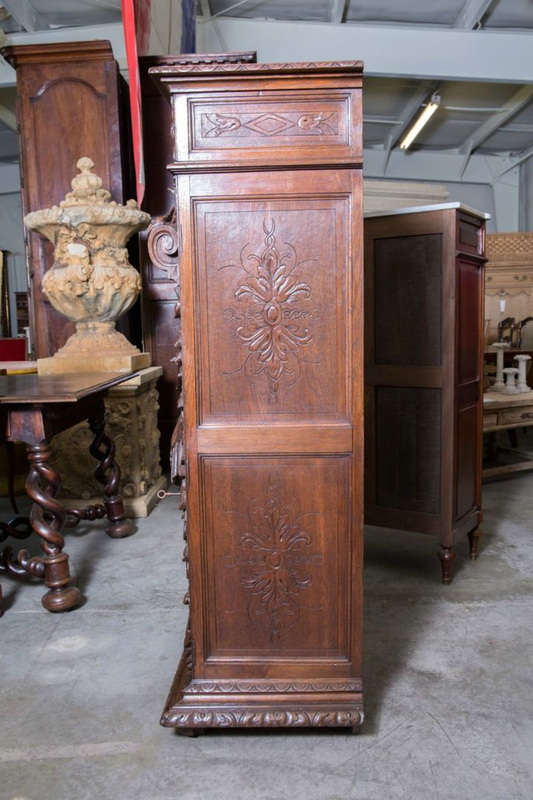 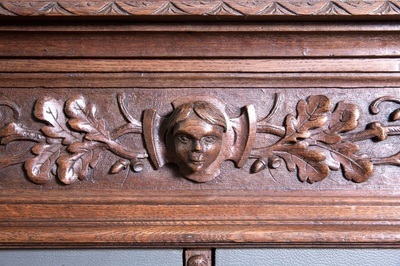 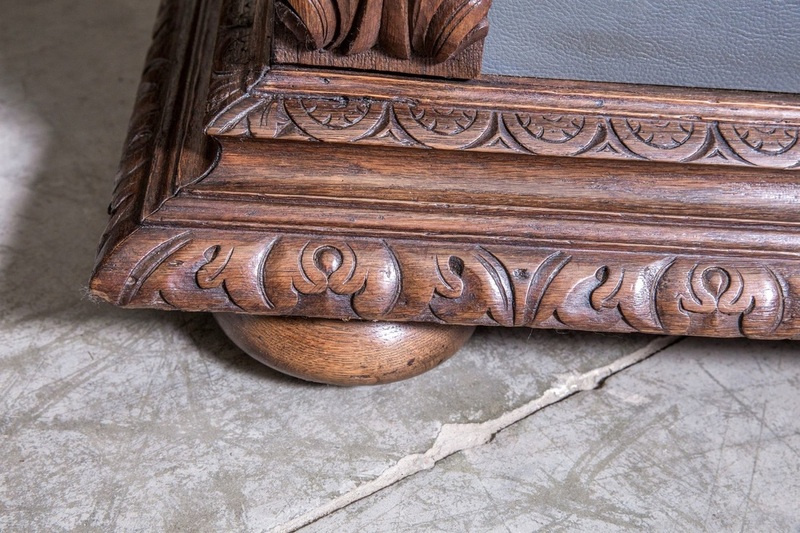 Sturdy oak carcass with a rectangular gadroon top over an intricately carved frieze decorated with foliate motifs and a central carved face, probably that of the owner. 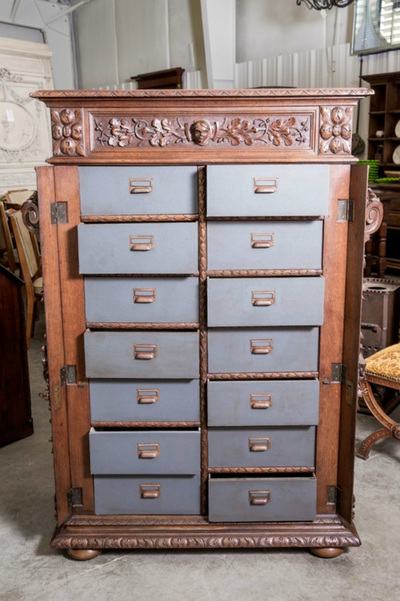 Fourteen pull-out drawers with painted leather fronts provide ample storage for all your paperwork. 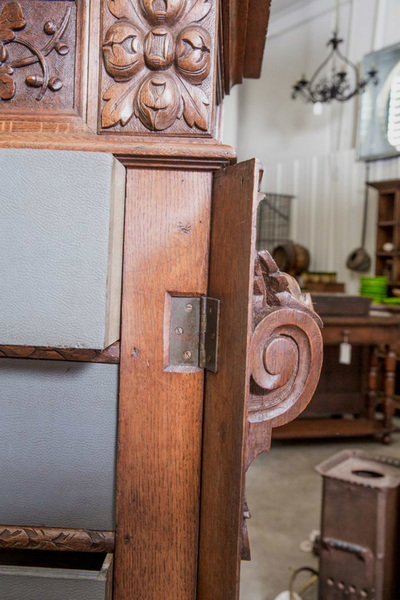 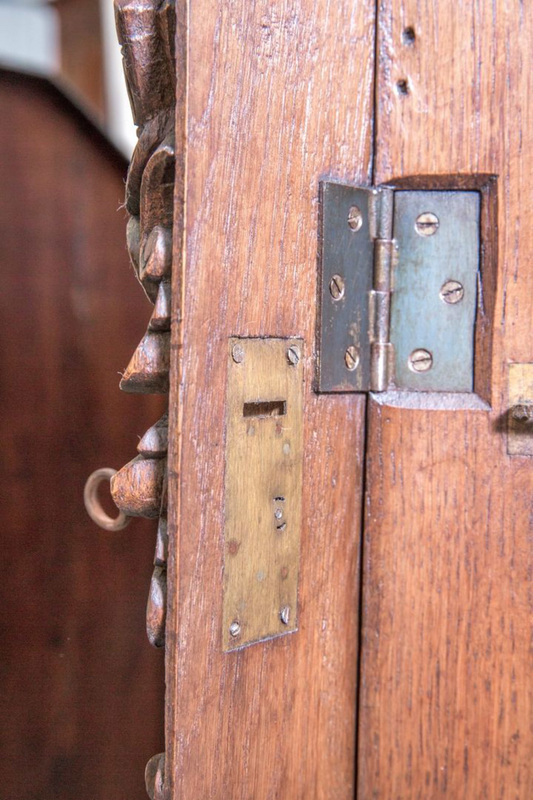 Flanked by carved locking side supports and raised on bun feet. The carved sides complete the look. 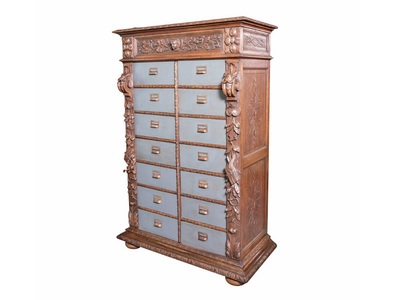 This handsome piece makes a fantastic decorative statement as well as being useful.